The field of accounting can be increasingly vital to businesses and individuals seeking financial stability. Within this field, there are numerous levels of degree programs that can help students obtain different types of expertise to be used with clients in the field. If you are currently working in the field of accounting at the associate's, bachelor's or master's level and wish to pursue even great options with your degree program, you should consider a PhD program in Accounting. This degree program could be a great way to learn more about the philosophies of accounting and methods for teaching others about the field as a whole. PhD programs in Accounting can be found at universities all over the country. Students enrolled in these programs can dive deep into the theories and developments made in the field of accounting, from its onset forward. Programs offering this major may call upon experienced professionals with the desire to educate upcoming accounting professionals or current accounting professionals that seek greater job opportunities. This type of program can assist in building upon current knowledge in the field of accounting, so work experience can prove to be beneficial for students planning to enroll. Your choice to move forward into doctoral-level degree programs can be one that changes the course of your career. Doctoral-level professionals may be seen as experts in their field and used as consultants during times of need. If this sounds like a career or lifestyle option that could be suitable for what you need, our team encourages you to move forward into one of the fascinating degree programs. The guide below can provide you with more in-depth information about the Doctoral programs in Accounting available for enrollment today, as well as the career opportunities available for those that complete them. Some students view higher education as an opportunity to grow within their current line of work. With large numbers of new students entering the workforce each year, employees of financial companies may be forced to seek greater opportunities to set themselves apart from those searching for the same positions. 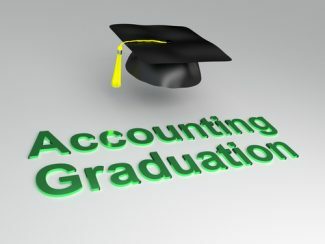 However, PhD programs in Accounting can help students obtain several different goals. These programs can lead students down alternative paths that can assist in providing change in the field on a greater level. Read about some of the PhD programs available to students below. Doctoral-level learners may have different outlooks on where they would like to proceed with a PhD in Accounting. In recent years, the needs for educated and experience professors in the college setting may have influenced a large number of students to pursue this higher level degree in order to obtain teaching positions. During these educational programs, students can learn more about effective methods for teaching others about accounting and its many factors, as well as the background and development of accounting relevant to progressive learning. Students that are interested in a more research-oriented path can enroll in PhD programs suitable for intuitive professionals. Through research, graduates can learn more about the different trends and methods available in the field and how they can contribute to the overall improvement of the financial realm. During courses for this program, students can learn how to properly conduct a research project, analyze the results gathered during these project and find the most suitable methods for delivering results to those interested. Professionals currently working in the field can find ways to improve their current practice and methods for making better progress in their field by enrolling in PhD-level programs. Current professionals may benefit from engaging in more in-depth learning opportunities provided by universities with these programs. If you are interested in becoming a more dignified professional accountant in the field, these types of programs could be a great first step. Some doctoral programs can allow for students to partner their love of accounting with a curriculum focused on business. These types of programs may be found in MBA format, which could lead to even greater opportunities in the field. Students interested in these types of programs may be expected to indulge in both business-related and accounting courses as part of their curriculum. As a student in a PhD program, you could learn more about the topics and understandings not covered in lower degree programs. Since you should have gained most of your applied knowledge during your experience in bachelor’s and master’s degrees, these types of programs can teach you more about the theory and change needed within the field in order to improve it. PhD degree programs may also include components that focus on developing new theories and practices in the field, which could change the way that accountants conduct their business on a daily basis. The educational programs currently available to students can consist of many diverse topics. This can depend on what type of PhD program you are enrolled in and any relevant specializations you might choose. Each college may have a slightly variable set of courses included for you to take, so it is important to learn more about the information these courses can provide before you ever enroll. If you want to learn more about the types of classes you can take throughout this program, read more in the list provided beneath this section. Our team of educational experts has review PhD programs in Accounting to provide you with accurate information pertaining to this program. Research Methods in Accounting: As an introductory course to PhD in Accounting programs, this course can help students better comprehend the steps required to conduct solid research. This can include topics such as choosing a relevant topic to research, proper methods for gathering data for review and steps required to analyze and chart results. Students may have the opportunity to engage in independent research projects as part of this course. Empirical Research in Financial Reporting: Students in this course can take a deeper look into empirical research currently available in the field of finance and accounting. This course can help students better identify research that is based upon empirical evidence and has been proven as relevant within their field. Students can also learn how to conduct research based upon what can be observed rather than documentation or a formal review. Design of Field Research Methods in Accounting: In order to provide valid research, students may have to learn how to properly plan and conduct field research assignments. As research professionals, students may be tasked with finding answers to current problems in the field, which would involve a look at current happenings taking place within the natural environment. This course can assist students with arranging and implementing studies that take place in a real-world environment. The information provided below can help you see what types of salaries may be available to people within this field. This information is provided by the Bureau of Labor Statistics and was gathered through analyzing the incomes of people currently employed in accounting positions in various areas. If these types of salaries match up to your needs, they may be the best type of career for you to pursue. Can the PhD program help me obtain leadership positions at my current place of work? Different organizations may have varying expectations of applicants to leadership positions. In a lot of cases, employers seek out candidates that have great work experience, a track record of excellence and an advanced degree in your field. Obtaining this degree could definitely be a positive attribute when seeking these types of positions. Are their practicum requirements for this program? Research-oriented degree programs may require that students take part in a research project as part of the completion requirements for their program. Depending on the school, this may include an in-person requirement at various locations. Before you enroll in a program, be sure to locate these requirements to ensure they match up with what you can do as a full-time students. If you currently hold a Master’s in Accounting or Business, you could potentially complete a PhD program within 2 to 3 years. Those entering this program from the bachelor’s level can expect to complete this program within 4 to 5 years if enrolled at a full-time rate. Now that you may be aware of what is covered throughout PhD programs in Accounting, you may be more interested in what this type of position could provide for you in terms of employment. As state in the sections above, this type of degree can actually lead to many diverse career options depending on the type of program you enroll in. Some students may choose to pursue the educational path in order to satisfy the need for college professors, while others may take a more applied route to their career. Searching the country for the right online program can be a long and drawn-out task. Depending on what you require for your own needs and desires, one program may be more suitable for you than another. As you review each available program, our team encourages you to analyze the costs, length of enrollment and quality of the program prior to making your decision. In order to make your search a little easier, our team has pulled data from some of the most preferred PhD/Doctoral programs in Accounting. This information can assist you in getting started on your journey to finding the best program for your own career advancement. Take a look below to see the costs and completion times of these example programs so that you can know what to expect throughout your search. Enrolling in a PhD or doctoral program in Accounting can be a decision that changes your career for the better. However, some students may be concerned with committing to these programs, due to the time it takes to complete them and the monetary investment required. One important factor to consider when choosing to enroll in a higher education program is the type of advancement this choice could lead to. Students with higher degree programs in this field could potentially be considered for more prestigious opportunities in the field, as well as some within areas of research and education. The cost of pursuing a PhD is often comparable to some master’s-level programs in the same field. Students that have excelled in earlier programs may have the option to pursue different scholarships or grants to help fund their education, while others may seek out student loan opportunities to reach their goal. Each university may also deliver their tuition expenses in different way. As you can see in the examples below this section, some programs list tuition by credit hour while other universities may list their expenses in total for the whole semester or program. It may help you to analyze the costs of various programs before enrolling to ensure you are getting the most for your money. After spending 4 years completing a bachelor’s program or 6 on your master’s, it may be difficult to fathom spending an addition 2 to 4 years on obtaining your PhD. The advantages of pursuing a PhD may be able to make up for the time commitment involved in obtaining them, though. Research specialists and educators in the field of accounting can assist with providing ground-breaking ideas and changes in the field that can improve the system of accounting for all people. Educators in the field can also influence the learning of future professionals in the field, which could be a huge contribution to the financial realm as a whole.